For managing my OSX packages I’m using brew, but unfortunately it does not have nano formula yet. Built-in version of nano is pretty outdated (2.0.6), and there is no binaries available exclusively for mac. So we’re going to do a classic configure-make-install dance. These are compiled from different sources over the internet with some small mods made by myself. At this point you’re done. 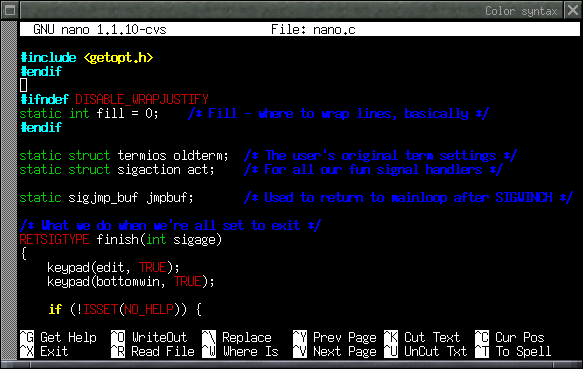 Latest nano with syntax highlighting will be installed at your system paths.